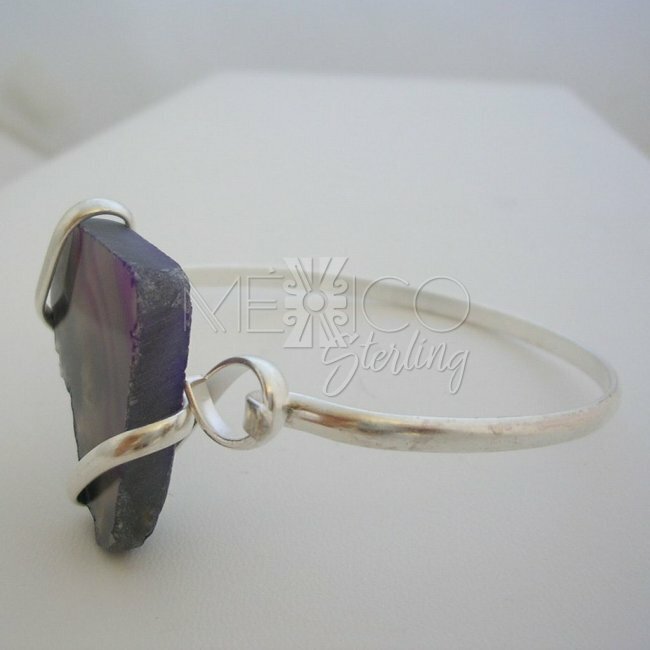 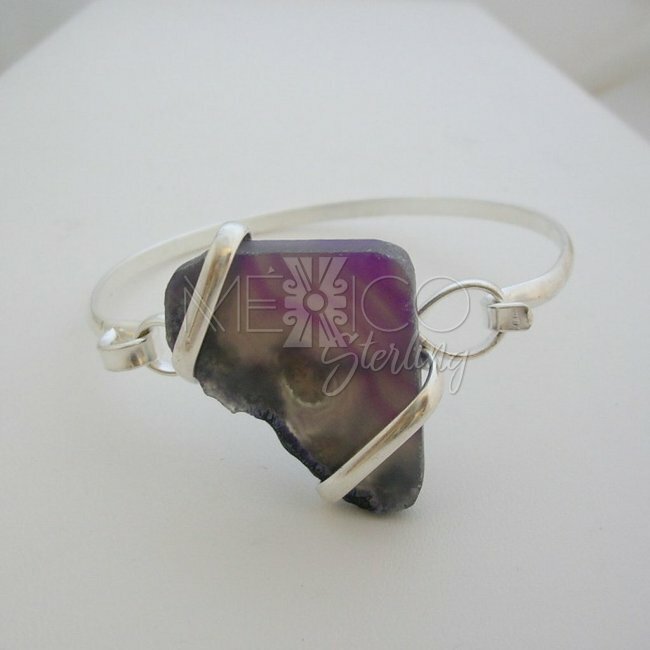 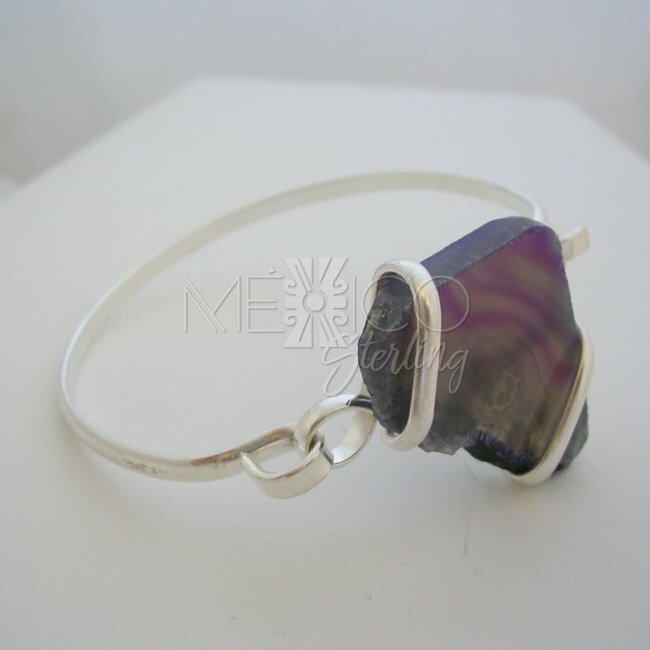 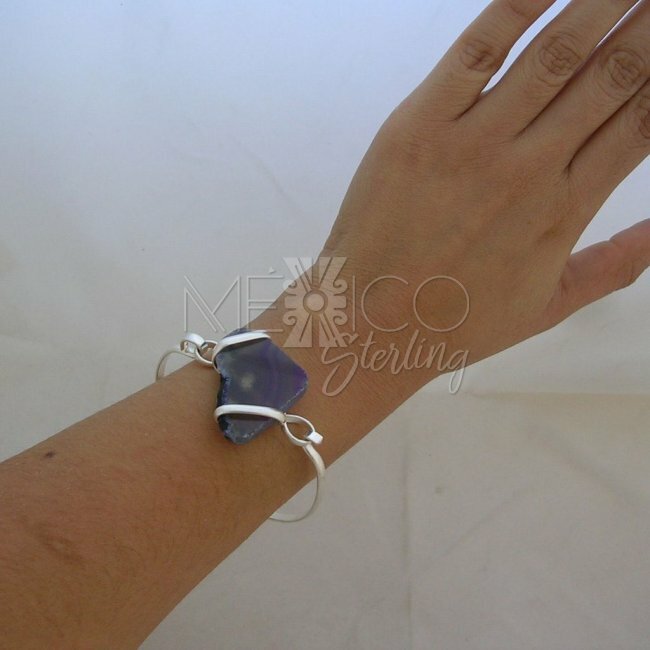 Silver Plated Bracelet Cuff with Natural Quartz [SPJ2470] - $7.00 : Mexico Sterling Silver Jewelry, Proundly from Mexico to the world. 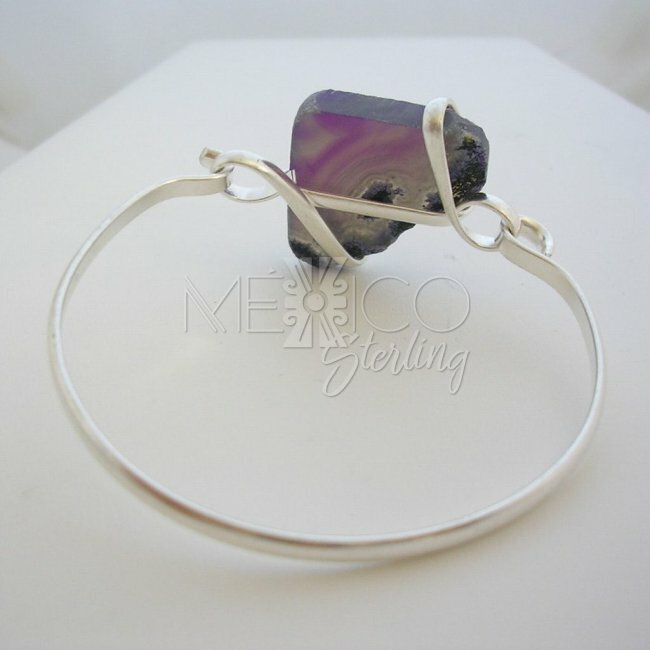 Dimensions: Inside Circumference : 7 1/4" Length : center[piece 1 1/4"
Mexican silver plated bracelet cuff with a rustic design, simple and modest composition that has a special appeal. 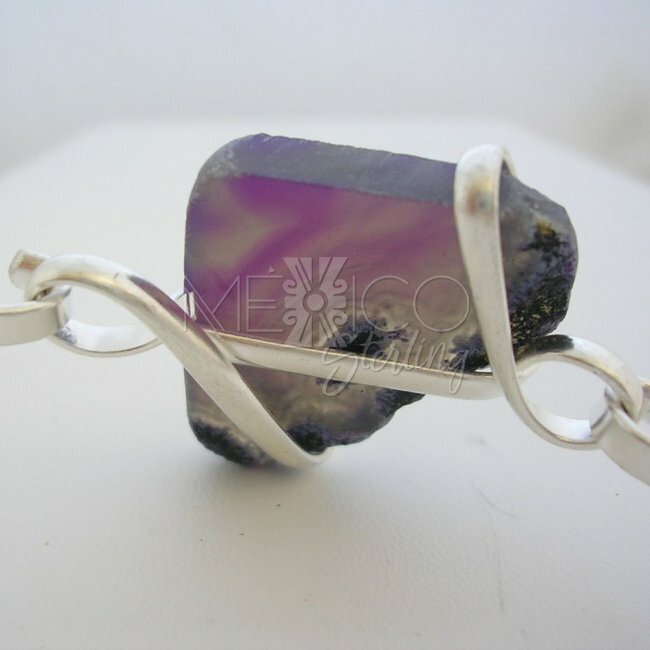 Its only decoration is on the centerpiece where you will find a light purple color quartz, this is a rough natural stone, only polished on the front and back, but most of the edges are rough too. 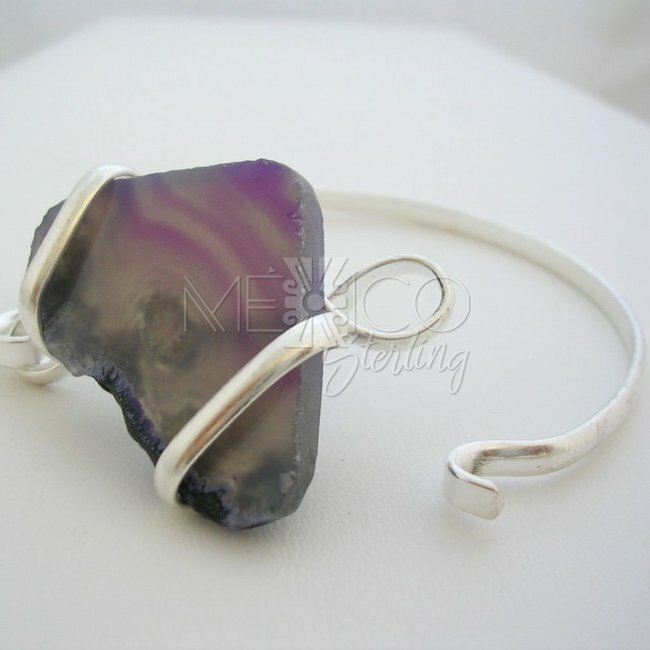 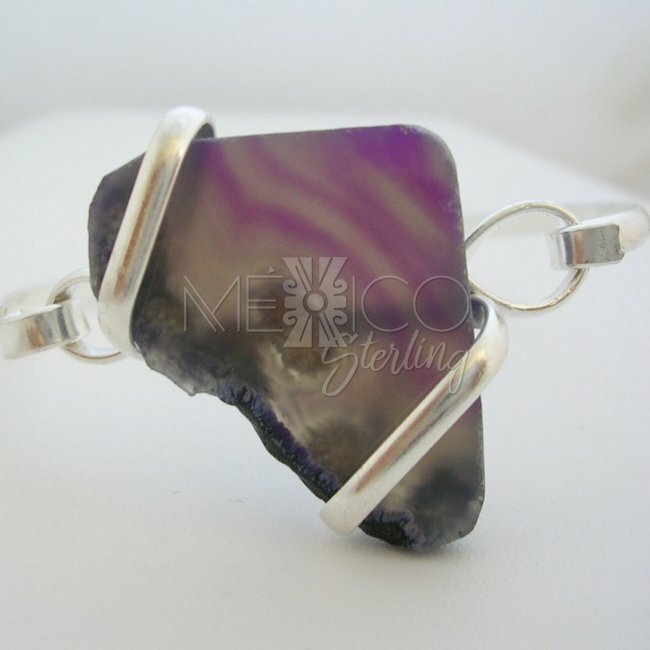 This Taxco plated bracelet also was completely handmade, just like most of my jewelry.